Food labeling is a tricky beast. 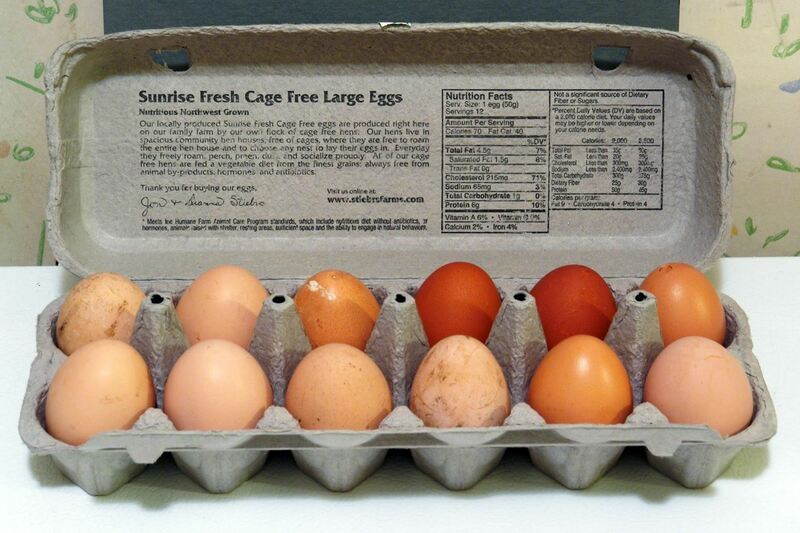 For instance, when I read the words "cage-free" on an egg carton, I think it means that happy chickens frolic in a sunlit meadow all the livelong day until they're gently herded into a clean, sweet-smelling coop to lay a few dozen eggs—which I can purchase for a reasonable price, of course. Alas, the reality is quite different. Marketing firms can toss around terms like "natural" and "fertile" that have no legal definition and are meant to lull the consumer into thinking he or she's buying an ethically created product. Meanwhile, a term like cage-free means only that chickens have access to outdoor space, which can encompass a lot of conditions, not all of them necessarily healthful for the chicken or you, the consumer. If you're concerned with the state of agriculture and the impact it has on the environment and how farms treat the animals we eat, then you definitely want to know exactly what you're buying when you go to the market. That's especially true when it comes to chicken and their eggs, since both tend to be staples for either the budget- or health-conscious shopper. Above video: In the sketch show "Portlandia," Fred Armisen and Carrie Brownstein play two uber-hipsters who demand to know the name and living conditions of the chicken they're about to eat. The label USDA Organic is your best bet when buying chicken or eggs. In terms of chicken, it means that your bird has been fed a vegetarian diet that is also organic and therefore does not include any GMOs (genetically modified organisms) or chemical pesticides. It also means that the birds must be raised according to organic standards within two days of being born, are not fed any hormones, antibiotics, or drugs, have access to outdoor space, clean drinking water, and be raised "per animal health and welfare standards" according to the USDA. 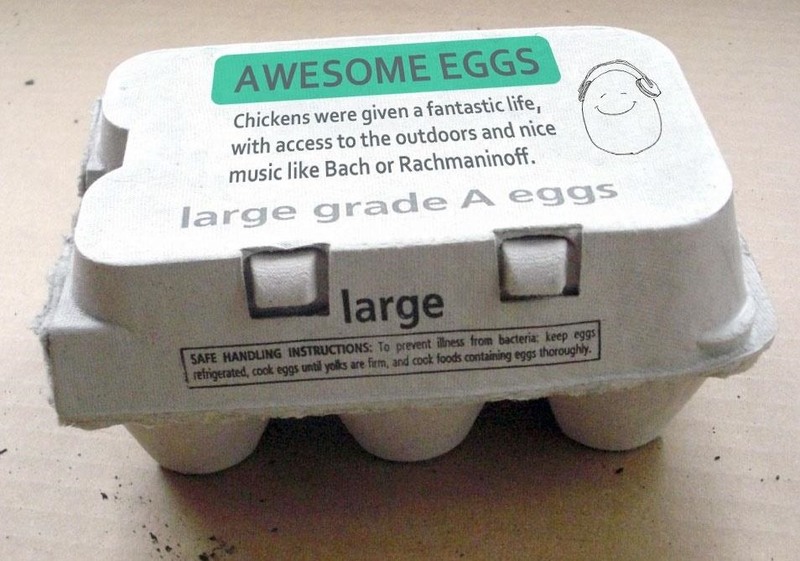 Meanwhile, organic eggs must be laid by chickens who are raised according to organic standards. This is especially important when it comes to their feed, since chickens raised on conventional farms are often given arsenic-laced food to speed up production. Conventionally raised chickens are also routinely given medications like Benadryl, since they they experience a lot of stress from living in overcrowded and dirty conditions, which makes their meat tougher. 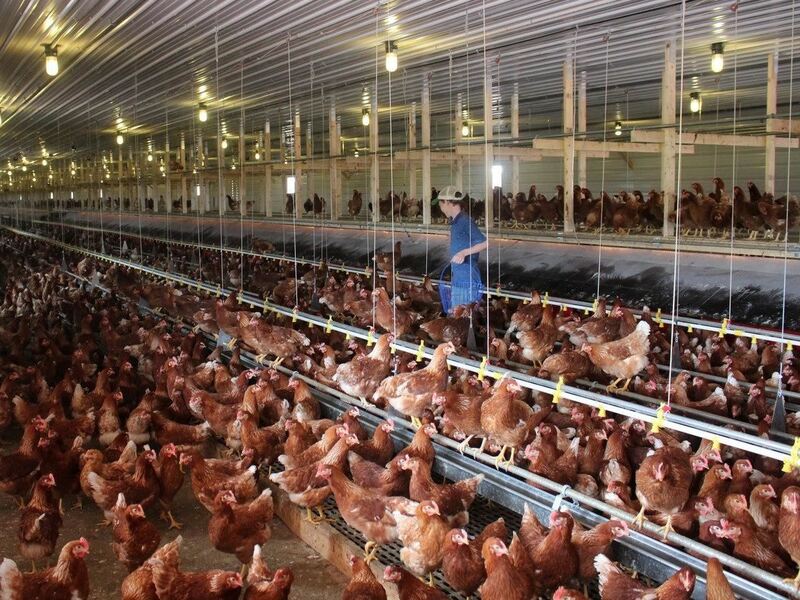 The term "cage-free" means exactly that: chickens are not placed in battery cages as they are in most industrial farms. However, it doesn't mean that the chickens are necessarily given lots of room to roam or allowed to go outside, either. If a chicken can move freely inside a chicken coop, then it's cage free. Consumer Reports points out that the term might be kind of meaningless, since no chicken that is raised for meat is kept in a cage. Free range is an even trickier term. The USDA states that "producers must demonstrate to the Agency that the poultry has been allowed access to the outside." However, Michael Pollan points out in The Omnivore's Dilemma that, "Since the food and water remain inside the shed, and since the little doors remain shut until the birds are at least five weeks old and well settled into their habits, the chickens apparently see no reason to venture into what must seem for them an unfamiliar and terrifying world." In other words, a factory farm can open the doors on a chicken coop and have it lead to a parking lot. Meanwhile, the chickens have been conditioned to stay within the safety of their coop. Technically, that's still "free range." You'll sometimes see the term "pastured" in regards to chicken and eggs. As Francis Lam points out in the Salon article referenced above, that actually falls more in line with what people think cage-free and free range entails. The chickens are kept in a coop at night, but they have large amounts of room to roam and forage for food. However, there is no legal definition of the term "pastured," so you buy poultry and eggs with this label at your own risk. My advice? Buy chicken and eggs from small farmers, which isn't as hard as you might think, especially if you have a good farmer's market nearby. You can ask them about how they raise their animals. In my experience, eggs from chickens that have led healthy lives with lots of air, sunshine, fresh food, and room to roam taste incomparable. 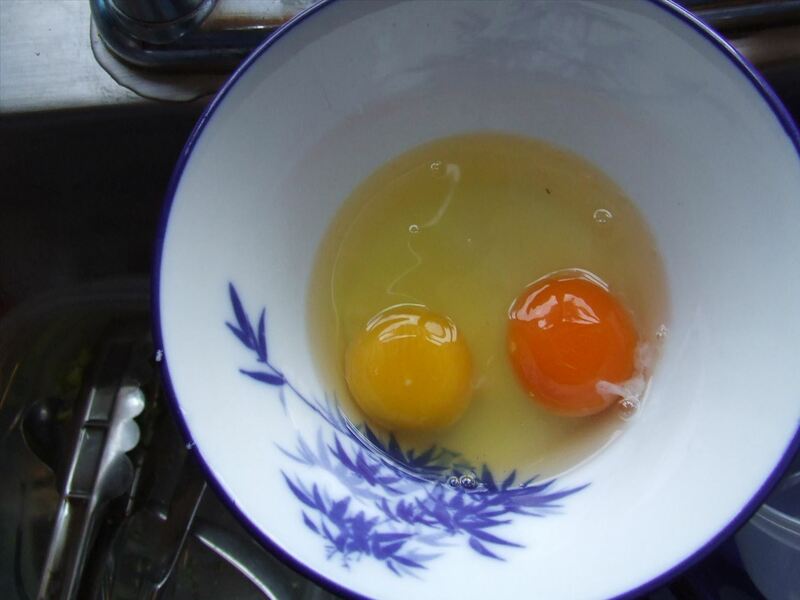 The yolks are rich, buttery, and nutty tasting and are usually a deep orange in comparison to the yolks of store-bought eggs. And humanely raised chicken from small farms is exceptionally tender and cooks well. The Los Angeles Times agrees. They performed a taste test on several kinds of chicken, and the organic/free-range varieties performed the best. If you are a real stickler about making sure that your eggs and chickens have been raised in the kindest manner possible, then seek out foods that bear the stamp Animal Welfare Approved, which has the highest standards of any third-party auditer when it comes to animal rights, according to the Humane Society. 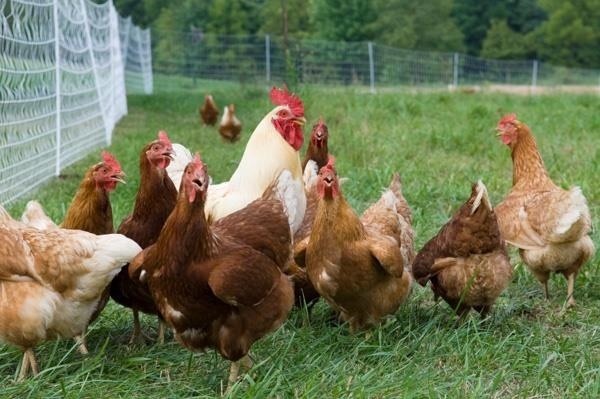 However, keep in mind that they only cover small flocks—anything more than 500 chickens is out of their jurisdiction. The Cornucopia Institute, a non-profit that works for ecologically produced food and family-sized farms, also has a great guide about which egg producers obey the letter of the law and which obey the spirit. How About Natural, No Antibiotics, & No Hormones? The term "natural" might be the trickiest of all. It says nothing about how the chicken or eggs in question were raised or what they were fed. Legally, it simply means that nothing was added after the animal was slaughtered, like brines or flavoring. The USDA now requires that the term "natural" be followed by more specific descriptive terms like "no artificial ingredients" or "minimally processed," but there's no process to verify these claims, according to Consumer Reports. While the label "no antibiotics" means that the chicken wasn't given any of the substances either in egg or hatched form, again, there's no agency that actually checks that this claim is true. And when you see the phrase "no hormones" on eggs or chicken, that is almost meaningless, since it's illegal to give hormones to any kind of poultry or livestock that's sold for meat in the U.S. That's why it's always followed by the words, "federal regulations prohibit the use of hormones." Fertile, Vegetarian Feed, Omega-3 Enriched—Huh? According to the Humane Society, "fertile" simply means that the hens who laid your eggs had, er, access to a rooster, which implies that they were uncaged. Again, this term has no legal weight. Meanwhile, vegetarian feed means just that—no animal byproducts were included in what was given to the chicken. "Omega 3 enriched" just refers to the food that the chickens eat, not the actual nutritional content of the chicken or eggs itself. 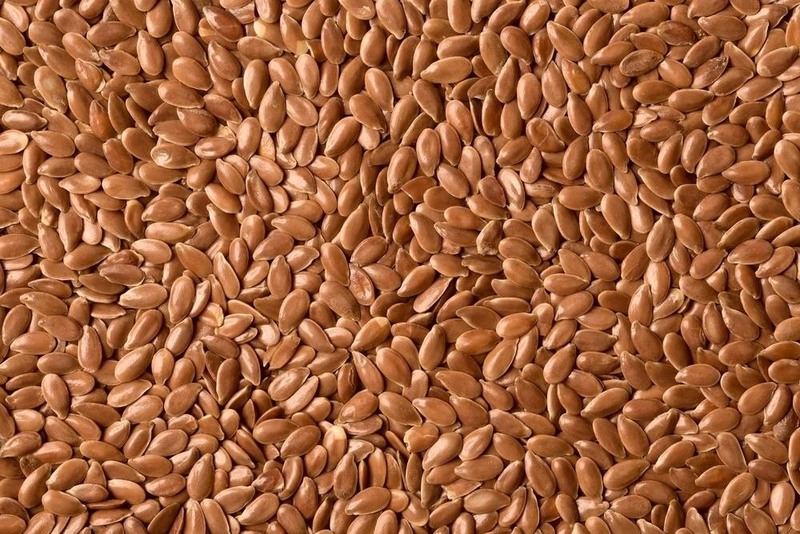 They were most likely given flaxseed meal or kelp in hopes that those nutrients would transfer to the meat. Here are two terms that I thought had little bearing on what kind of chicken I purchased, but it turns out they actually have a lot of significance. Immediately after chickens are slaughtered, they are chilled to prevent the formation of bacteria. Water chilling is the most common method in the United States, and involves plunging several bird carcasses into a cold water bath that has been treated with chlorine. However, the chicken will absorb some of the water (and the chlorine), which will increase its weight (and its price). Air chilled is common in other parts of the world, takes longer, and is more costly. However, air-chilled chicken also saves water and the bird carcasses are separated rather than treated en masse. It is true that air-chilled chickens are misted with a chlorine-and-water spray to further inhibit bacteria, they are not soaked in the solution, which means their flesh is less likely to become impregnated with chlorine. This process tends to be favored by smaller farms. And it should be noted that while you may pay more for air-chilled chickens, you won't be paying for water weight. Now that you know a little more about buying chickens and eggs, you should learn how to tell if your eggs are expired or not, and see if you should be washing your chickens. And for more labeling information, see our guides on bread tags, produce stickers, and olive oil. "Organic" is also a marketing lie. The biggest one with industrial history in my opinion. Almost everyone does not even know what GMO is (genetically modified), how the term came to be, and what its effects are. To put it quite simply, genetically modified is the same as tree-grafting and cross-breeding. The ancient tradition of tree-grafting and cross-breeding to produce a better plant or animal for our consumption is genetic modification. There are absolutely no scientific, peer-reviewed evidence that GMOs are bad for you. GMOs is a fancy evil label as a marketing strategy for farmers that are losing gains in the industry to farmers willing to utilize more scientific means for tree-grafting and cross-breeding. Ideally, when a group is making more money by providing cheaper alternatives that are superior, naturally the competition is going to want to find ways to demonize it so they can make money. And they are making a lot of money. They are offering POORER quality foods and asking for bigger prices. There are no health benefits to actually eating USDA approved, organic labelled, or "all-natural" products. Yes they can cite they don't use GMOs, but they don't specify why. And legally, they can't tell you because that would be false advertising. The only definitive argument you can find is, "it's a freak of nature!" You can buy organic, vegetarian, organic-grain fed chickens who lay eggs, but it won't bring you anything better or good. Chickens, cows, or vegetables raised naturally will cost more because the farmers aren't utilizing superior means to raise them. Viruses, disease, small size, less nutrition, and other defects infest organic material (I know first-hand, I handle, stock, and sell them). But these deficiencies can be remedied, improved, or even totally removed with microscopic and specific cross-bred treatments. That said, there IS an important factor in our meat and dairy products (including eggs). Grass. Chickens pick off grass (so do pigs, just like cattle). Grass and other leafy-green items contain high amounts of Vitamin K, which is necessary for the body to regulate and properly deposit nutrients and use them efficiently. A deficiency in Vitamin K leads to obesity (because the body defends its lack of proper nutrient usage with storage to prevent starvation), osteoporosis and back pain (calcium by itself is not enough, but Vitamin K makes it so), heart problems (clogged arteries and heart strain), and who knows what else. All of these problems are plaguing North America and not many other countries. Vegans, people who shun meat and meat by-products, are more likely to die from heart attack and plaque buildup than carnivores. Why? Because they cannot get enough Vitamin K. You need an ungodly amount of Vitamin K to keep going healthy every day, as much as a large bowl of salad set for a family of 3, by yourself. This is because our bodies do not process Vitamin K very well; you absorb barely 10% of what you intake. So you have to eat 1,000% of you daily value needs in Vitamin K to actually fully receive what you require. This is true for many nutrients in vitamins and minerals. What does that have to do with chickens, pigs, and cows? They provide us with Vitamin K2. Unlike Vitamin K, the K2 is 100% absorbed in our bodies. We get less of it, but a lot of benefits come with it like filling protein. Why do our bodies get full on fatty proteins? Because our bodies know we are getting enough of what we need compared to vegetables! And Vitamin K2 is stored in the FAT. That is why FATS TASTE GOOD because it is incredibly healthy for you. A stick of grass-fed butter is healthier for you than a salad. And when you have grass-fed meats, milks, and eggs, you overcome plaque buildup that causes heart problems. Our obesity problem in North America is caused by people eating poor quality food that lacks Vitamin K2. We are driven mad with cravings for hamburgers, fatty dressings, bacon, enriched cereals (which have a lot of vitamins and minerals), and dessert. Our bodies know we desperately need something in those foods, but then they are forced to store them as fat for us. Our taste buds are trying to tell us to not prefer this poorer-tasting bland salad or force-feed ourselves with health bar junk, and starve ourselves fighting to not eat those fatty foods. We have been geared to crave those things, and in an attempt to gather more nutrients, the body needs to consume and store more than it needs. That is why we eat so much compared to our European and Asian fellow human beings.